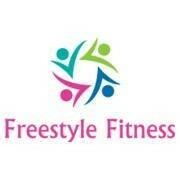 Freestyle Fitness, established in 2012 by Pamela Bennett, is a group fitness and boot camp company. Freestyle Fitness offers a variety of group fitness classes from dance to water fitness. The address had changed and was not updated in the listing. Make sure you’re going to the new location. Fun, high energy and great choreography! This class was fun, energizing and inspiring! It was a fun class! The instructor is great and definitely loves what she does! Julie is a great instructor. This class was challenging but a great workout. Definitely worth a try! Loved this class! It was very high energy! Highly recommend! Pamela is a great instructor! She works hard to build a community in her classes. I would recommend going here! I love this class! It's so much fun.